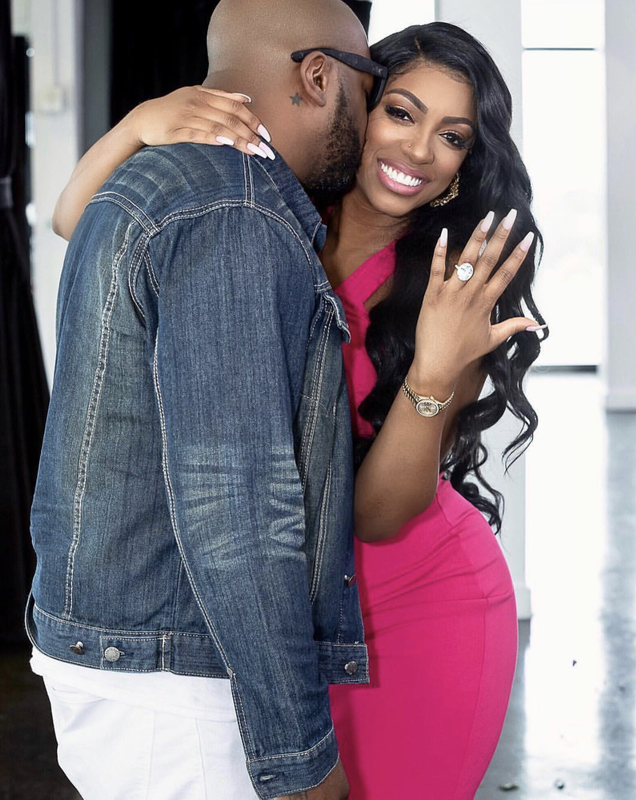 The Real Housewives of Atlanta star, Porsha Williams, is now engaged to long-time boyfriend Dennis McKinley. The pair have been together for quite some time,but we were introduced to him back in July on Porsha’s Instagram page. Last month, Porsha appeared in an issue of People Magazine and announced that she and Dennis were expecting their first child. Now, if you look closely, you’ll see Porsha was already sporting a rock on her left finger back in mid-September. However, today on her Instagram she made the announcement that she said yes to the love of her life, Dennis! A lot of happiness is happening for Porsha and Dennis and we wish them nothing but the best. Tea sippers, tell us what you all think!